Our Assessment Services enable you to gain a clear understanding of your business application estate, so you can advance and deliver on your IT Strategy. Driven by our unique Modular approach, our assessment services have been designed to deliver exactly what you need in the fastest and most efficient way, ensuring a very bespoke outcome over a common delivery model. 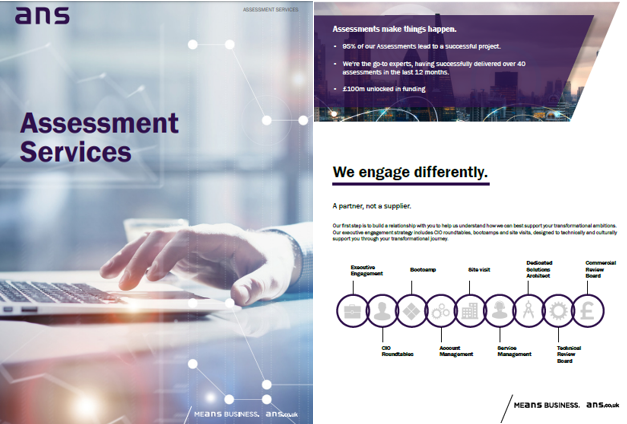 To learn more about ANS' Assessment Services download our brochure.